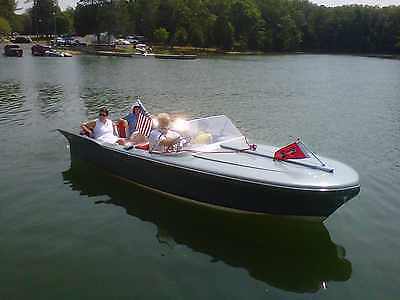 1970 Chris-Craft 55 Commander A TRUE CLASSIC. 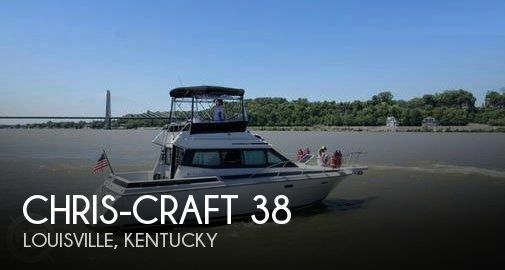 THIS WAS THE QUEEN OF THE CHRIS CRAFT COMMANDER FLEET. "QUALITY TIME" has enjoyed numerous mechanical and cosmetic upgrades since 2000 including overhauled 8V-71 Detriot Diesels, new aluminum fuel tanks ( 750 gals) new shafts with drip less packing glands Since that time she has only had two experienced owners. 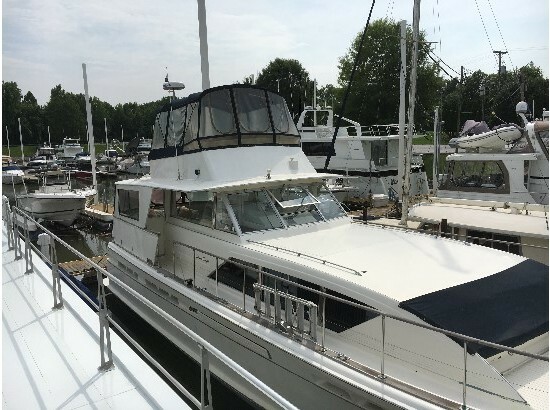 She was purchased in 2006 by the current owner who continued the upgrade process with new appliances, engine gauges, new marine air units and extensive interior upgrades. With her legendary Commander battleship hull and the upgrades she is perfectly suited for long range cruising with liveaboard comfort. 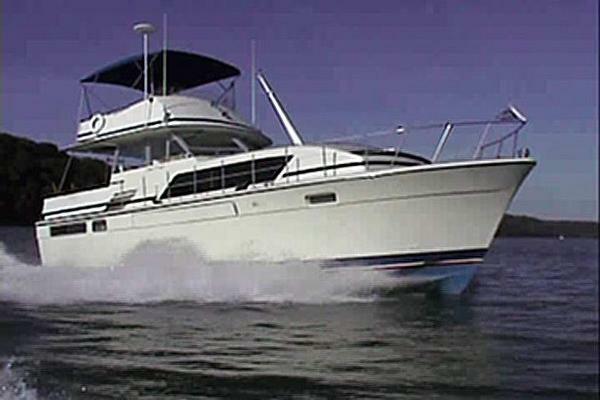 The owners are retiring from boating and Quality Time is seriously for sale. A great buying opportunity. New Listing more photos and specs soon. 1971 Chris Craft1 Catalina 1971 Chris Craft Catalina, * Twin 350 Long Blocks rebuild < 200 hours * Fridge * TV X1 * Cable hook up * Water tanks size: 80 gallon * Battery chargers: yes * Fresh water pumps: yes * Bilges two * Instrumentation * All wood work has been refinished and also a new PlasTeck and Holly flooring on the rear deck. * New canvas top. 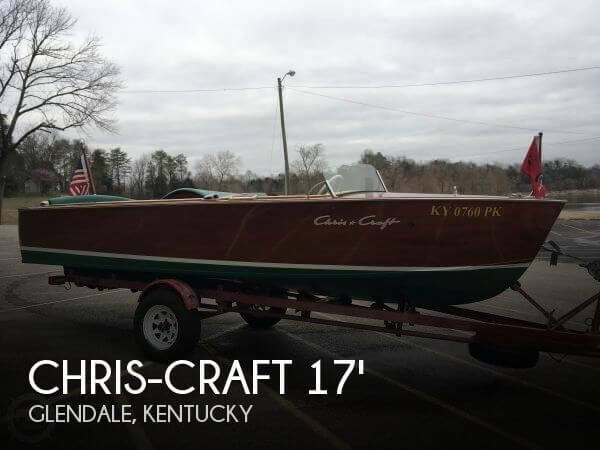 2007 Chris-Craft Launch 25 2007 Chris Craft Launch 25 Location: Somerset, KY, US Classic, Tons of Class, Bring Offers8.1 Volvo Dual-Prop with 85 hours ... Trailer included...Manufacturer Provided Description The Launch 25 offers a spacious main cockpit and bow seating area. A more generous seating area, including full aft U-shaped seating, makes this bowrider well-suited to long trips and excursions. While the Launch 25 is versatile and comfortable, it is easy to drive. It comes with a standard single V-8 engine with 280 hp. 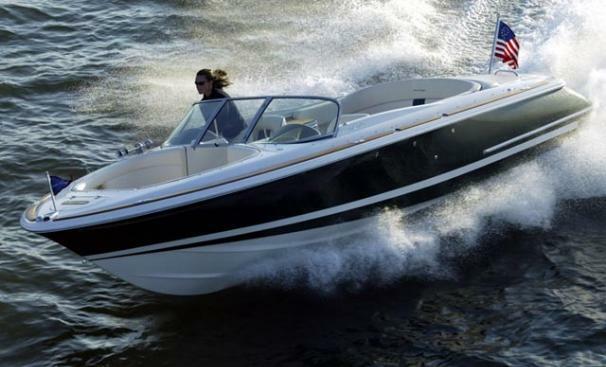 Alternatively, you can specify a range of Volvo or Mercruiser engines with up to 425 hp. 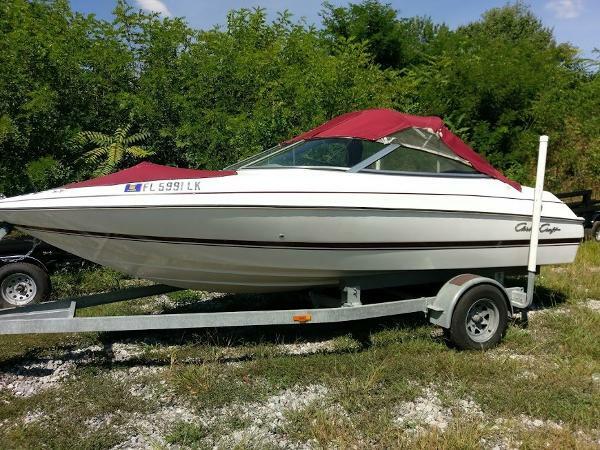 Engine Notes Mercruiser engines also available.Top speed of boat: 57mph Disclaimer The Company offers the details of this vessel in good faith but cannot guarantee or warrant the accuracy of this information nor warrant the condition of the vessel. A buyer should instruct his agents, or his surveyors, to investigate such details as the buyer desires validated. This vessel is offered subject to prior sale, price change, or withdrawal without notice. 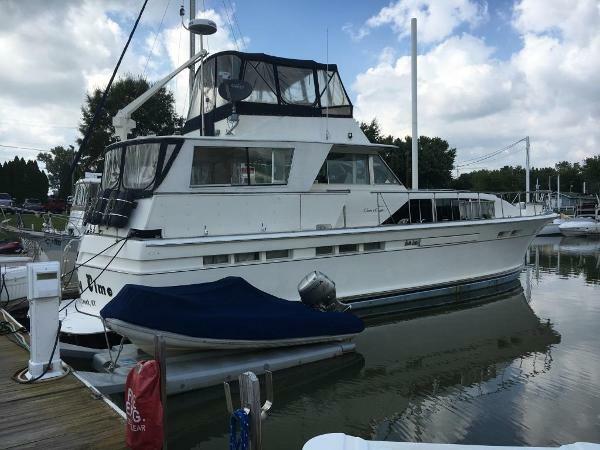 1979 Chris Craft 410 Commander Widely known for comfortable cruising and live aboard capability the 410 Chris Craft Commander is a traditional proper yacht and this one represents a truly fine example of this timeless design. 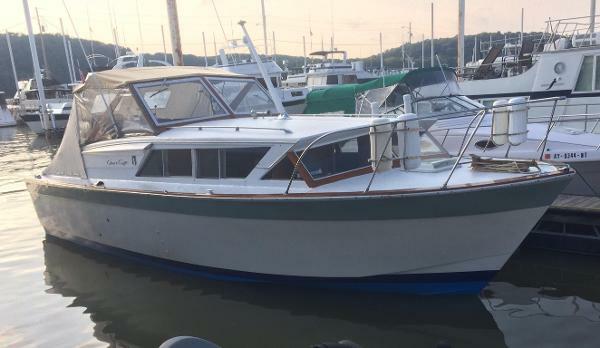 Always fresh water, she has been constantly maintained and upgraded both cosmetically and mechanically by only two knowledgeable owners for the past 20+ years. She is immaculate inside and out and her upgraded interior is spectacular. She features all the popular options and just completed a fresh bottom job and running gear inspection (Survey available) in the fall of 2013. 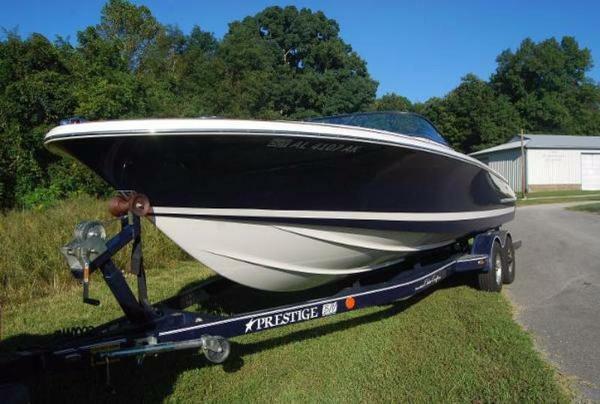 The owner have already purchased their new boat and this one is seriously for sale. 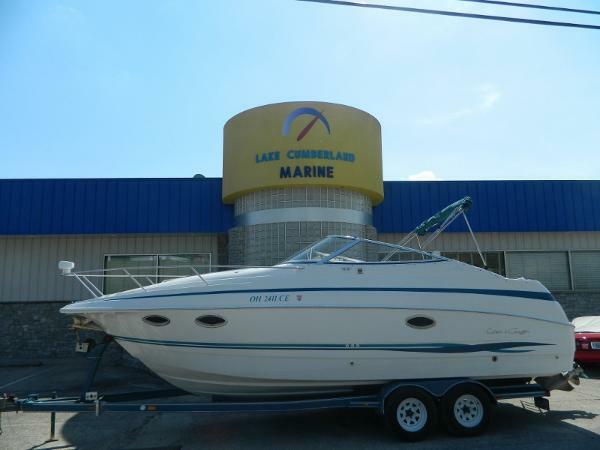 Absolutely no disappointments on this cruise ready turn key 410 Commander. Interesting trades considered. 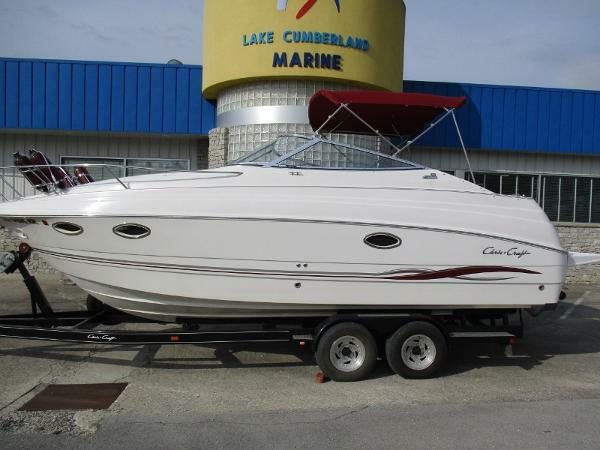 1986 Chris Craft 381 Catalina Very clean Chris Craft 381 Catalina. Always inside stored during winter lay up. 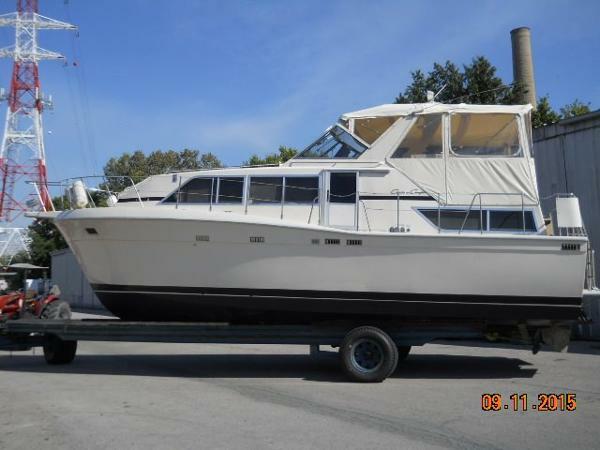 Twin Mercruiser 454's, 340 HP, Gen, three marine air units, spare props. Extremely well cared for and lightly used.